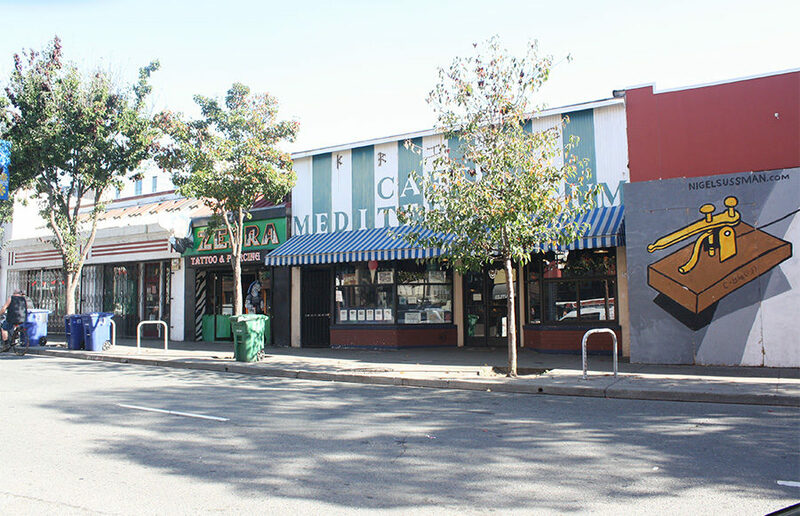 Telegraph Avenue’s Caffe Mediterraneum, bracketed between Amoeba Music and Shakespeare & Company Books, is officially up for lease with a purchase component following the owner’s desire for a change in management hands. Slightly more than a year after the failure of a controversial sit-lie measure, many advocates and opponents of the measure can agree on at least one thing: there has been slow progress on homelessness in Berkeley. Berkeley and campus police arrested three men involved with a robbery at Cafe Mediterranean on Telegraph Avenue around midnight Saturday night. The city currently has numerical and size limitations on businesses such as restaurants, gift shops, and barber shops in the Telegraph Avenue commercial district. A proposal considers temporarily relaxing the quotas for three years. By next month, commercial businesses on Telegraph Avenue north of Dwight Way will have the option of staying open for 24 hours. A rally was held at the steps of Upper Sproul Plaza on Friday to protest and raise awareness of the controversial ballot Measure S that will be voted on by Berkeley residents next Tuesday.